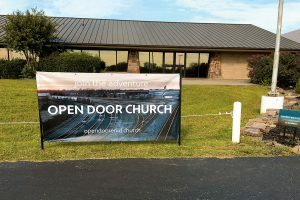 ENID—A new church was added to the family of Oklahoma Baptists on Sep. 16 with the launch of Enid, Open Door. An excited group of 237 people filled the auditorium of the Oklahoma Bible Academy, and one person made a profession of faith in Christ. With a desire to reach the nearly 28,000 unchurched in Enid, church planters Kevin and Meagan Hisey started by simply getting to know their neighbors in the community. God put a burden for church planting on the Hiseys’ hearts in 2000 when they helped start a church in Tulsa. In January 2016, during time of fasting and prayer, God made it clear to the Hiseys that it was time to contact the Baptist General Convention of Oklahoma (BGCO) Church Planting Group. Hisey said, “God made it really clear that Enid is where we should go, and there’s a need there.” For the past 18 months they’ve been training, gaining support and laying groundwork. The Hiseys moved their family of seven to Enid 15 months ago. The Hiseys have been blessed with financial support from several sources including the BGCO, Cherokee Strip Association and sponsoring church Claremore, First. Several churches and church plants gave gifts to help with launch funds. Twenty individuals personally support the Hisey family and view them as missionaries to Enid. 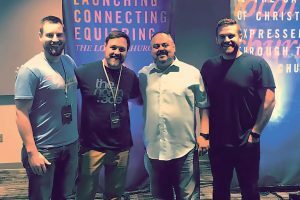 Hisey has also benefitted from an intentional coaching relationship with Kyle Megenity, pastor of the four-year-old church plant Ponca City, NewPoint. Megenity was assigned to Hisey through the BGCO Church Planting Group. NewPoint was initially supported by sponsoring church Ponca City, Cornerstone as well as Kay Association and Ponca City, Northeast. Raised in Ponca City, Megenity and his wife Cheyenne have a burden for the unchurched in the Ponca City area. They partnered with the BGCO Church Planting group in 2014. The church launched quickly on Easter Sunday 2015. Megenity has followed the same model with Hisey and Open Door. Both leadership teams have met and are a resource and support. 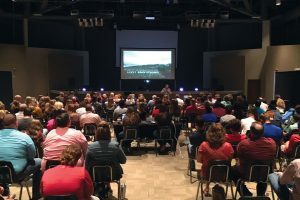 Megenity noted, “It’s huge that the BGCO Church Planting Group connects church planting pastors as coaches to help multiply healthy life-giving churches.” NewPoint has baptized 94 people and averages nearly 300 weekly with two services. Gunn now serves as the director of coaching for the Church Planting Group and coaches four Oklahoma planters. He organizes and oversees the coaching ministry to all BGCO church planters. Gunn estimates that 90 percent of people who attend worship at Church That Matters have been believers in Christ for less than five years. Church That Matters has helped start five other churches. Hisey not only has a desire to coach other planters himself but desires to start other churches. From launch day, Open Door will give through the Cooperative Program. 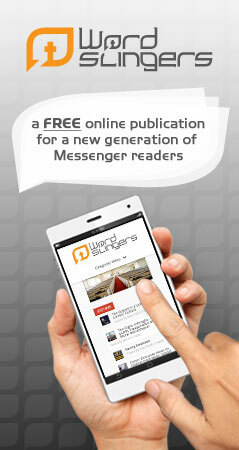 For more information go to www.bgco.org/ministries/church-planting.